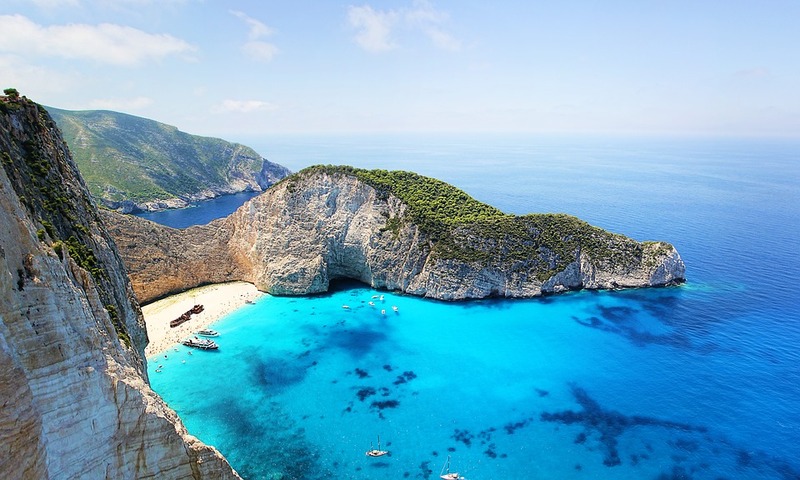 It is a mountainous island characterized by the pine-covered mountains and the fertile plains, which give Zakynthos endlessly green landscapes, while the idyllic beaches of the island, the rocky shores, the impressive sea caves are gaining the admiration of the island’s visitors. The eastern side of the island is ideal for family vacations due to the endless coastline with the crystal blue waters and taverns on the beach. The western part of the island is full of steep cliffs, ending in rare beauty. Zakynthos is the island of cantata and the operetta. Here, all emotions are dressed in notes. So, why not worship Zakynthos? It has it all. History, sights, imposing mountains, lush forests and fertile plains, endless sandy beaches and the turquoise waters of the Ionian Sea. One of the reasons that made Zakynthos a favorite island of many is that it has incredible nightlife. People from all over the world visit the island and do not want to leave. Nightclubs and bars are open until morning in order to entertain the most demanding visitor. Very good places to go out in the evening are Argassi and Laganas. Because Zakynthos is a history island, it also has museums that you can admire. In the city of Zakynthos you will find the Museum of Byzantine and Post-Byzantine Art, as well as that of “Solomos and Kalvos”. The Byzantine Museum has been known for its hagiographies and exhibits since the 12th-18th century, while the “Solomos and Calvos” Museum exhibits personal items of great Zakynthians. For the most famous on this island is the museum of “Gregory Xenopoulos”, a great writer and journalist who exhibits his personal items. Finally, in the Tsilivi area there is the Naval Museum. Zakynthos Island is served by one airport (airport code ZTH), located towards the south end of the island near to the resort of Laganas and Kalamaki, it caters for both international and domestic flights. Almost all international flights are chartered flights from other European cities during the holiday season (May-October). Domestic flights are available between Zakynthos airport and Athens, served by the national airline Olympic Airlines, there are usually two flights a day. The journey time to Athens is approximately 1 hour. As of January 2010, Easyjet started flying to Zante from nearly all UK airports and flights are usually Thursday to Sunday. Zakynthos Island has ferry links to Kyllini on the Greek mainland from Zakynthos Town During the last years, the area has evolved to a famous tourist resort with clubs, restaurants, cafes and shops € 8.20 per person and € 38 per car. Ferries to Kefalonia can be joined at Aghios Nikolas, on the North-East tip of the island. There are buses that go between the most crowded areas of the island. Ask around and there will be no pain in finding the bus stops. However, bus services on the island are rather infrequent and sometimes unreliable. Taxis, however, are not too expensive. The best way to get around is by rental car. There are literally dozens of rental agencies on the island besides the big ones. Preferably get a 4WD car, as some attractions are located off the main roads. Beware of the condition of some of the roads – the smaller roads may well have pot holes and even the “better” roads are extremely slippery. Also beware of other drivers. If you assume everyone else on the road is out to get you and drive accordingly it’s probably the best way of dealing with it. Due to the island being fairly small and only a few major towns its quite hard to get lost as most roads either go eventually to Zakynthos town or to Volimes in the north and you can work it out from there. Road signs are sporadic and some are bi-lingual with English and Greek, some are Greek alone. Also watch out for scooters especially in the main tourist areas. Rental agencies abound. However, scooters may be somewhat painful to ride around the island, because it is very hilly, so get something with a little bit more power. Cycling is a pleasant way of navigating the southern and central parts of the island, if somewhat impractical in the rougher, more hilly terrain of the north. Bike hire is available in all but the smallest of resorts, costing around €4-€8 per day, with discounts available for multi-day hire periods. A basket and a lock will usually be included but hire shops are very unlikely to hire helmets, so bring your own if required. A New business called Bike Ride Zakynthos has started up for the 2011 season, offering tours of the island if you didn’t fancy doing it alone. They can be found on Facebook and their information can be found around the resorts and hotels.